This post is sponsored by eBay. From the new to the hard to find, when it's on your mind, it's on eBay. Smartphones have become an indispensable part of our daily lives. Recent surveys have shown that the average smartphone user spends over two hours per day using the device. With usage rates this high, it is important for users to regularly upgrade their smartphones to access the latest features and technology available. So let's take a look at some of the best choices available in the market. 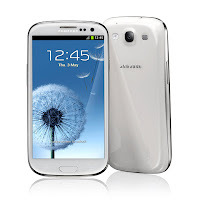 Samsung Galaxy S III - The Galaxy S III is the latest and greatest device from the world's largest smartphone maker. With a 4.8-inch, high resolution, Super AMOLED display and a quad-core Exynos processor, the Galaxy S III is one of the best smartphones available worldwide. HTC Evo 4G - The Evo 4G comes from HTC's stable of Android smartphones, running the popular Sense UI. With a 4.3-inch display and Qualcomm Snapdragon processor, it offers a capable budget alternative, while offering 4G speeds. This is also a great option for a first time smartphone buyer. iPhone 4S 16GB - If you're looking to get an iPhone, but aren't sold on the iPhone 5, the iPhone 4S is a great alternative. With a 3.5-inch retina display and dual-core A5 processor, the iPhone 4S is still one of the best smartphones on the market. As opposed to the 8GB models being sold by carriers, you can still get the 16GB version on eBay. These smartphones are so "everything" that they have the power to make virtual assistants obsolete. Everything can be DIY, now. Which is a good thing, right? Oh well.